Here's an inexpensive yet durable and accurate Military-style Army Watch. It features a high-impact water-resistant plastic case with stainless steel case back and a tough nylon strap that threads behind the case, so there are no tiny pins to deal with. Easy-to-read dial has both 12 and 24-hour markings. Plus, the hands and markers glow in the dark. 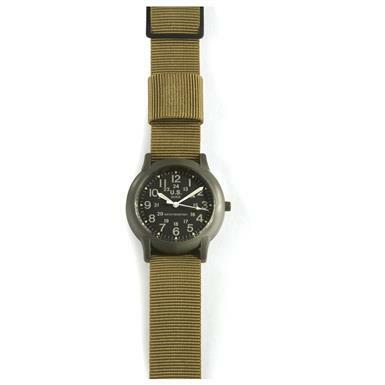 Military Style Army Watch, Olive Drab is rated 4.3 out of 5 by 95. Rated 4 out of 5 by Bow T from Good watch at a great price Awesome first watch for a young boy/girl. The no frills military style will allow them to read an actual watch face and not a digital display. The glow in the dark hands work very well and makes night reading very easy. Rated 5 out of 5 by XXXXXXX from It was very economical for me as a mother! Our son loves his watch! He wears all the time only taking it off to shower! Thank you! Rated 4 out of 5 by Art H from Great price Inexpensive but just what I was looking for. Great look but the band could be a little bigger. Rated 3 out of 5 by Paul from Good price but cheaply made. Was cheaply made but will do for what I needed it for. Rated 2 out of 5 by CharlieMikeGolf from Worth the price It would be difficult to make a very inexpensive watch worthwhile, but I thought I would take a chance given past excellent experience with SG. This, however, is not worth any price. It is exceedingly cheaply made: the band barely fits a wrist and the entire package seems very flimsy (e.g. the pins holding the tiny band would not hold up to any pressure at all). 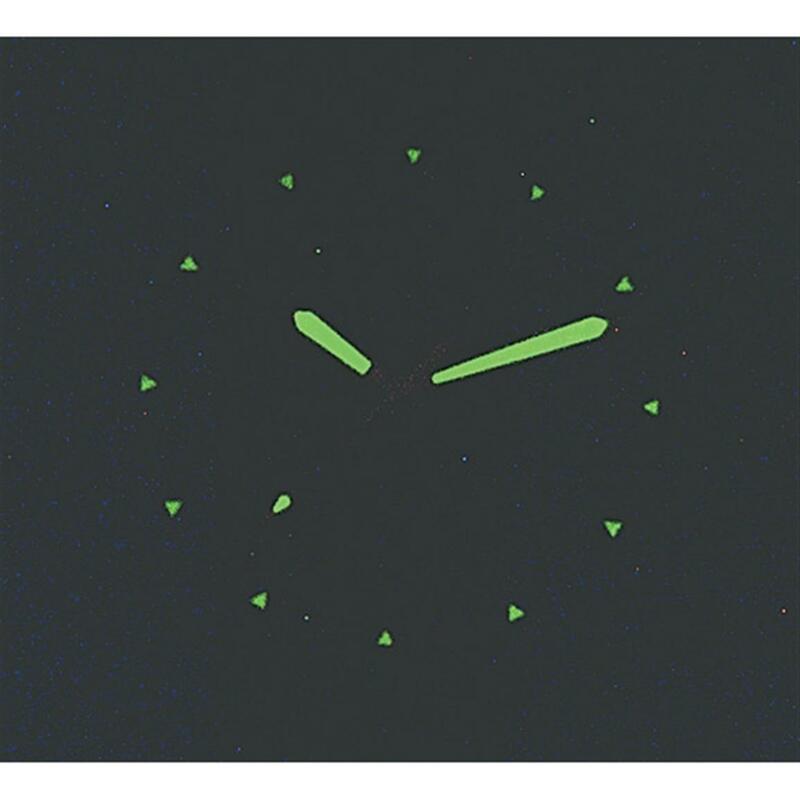 Earned two stars based on price: it does keep time and the luminescent hands work. I cannot recommend this watch for any application, even casual wear. Rated 4 out of 5 by Greene Chile from Tiny in size, should be labeled a kid's watch Watch much too small to fit my wrist. Band is very short, I could get it in the very last hole only. The watch face is also small, looks like a lady's or kid's watch on my wrist. Case is plastic, band is thin nylon but for the price point it is what it is. I will give it to my 9-year old son as it fits him and looks to be the correct sized face for a person his size.